이 교육은 Vehicle Spy 3의 고급 기능을 활용해 업무의 효율을 높일 수 있는 방법을 소개합니다. 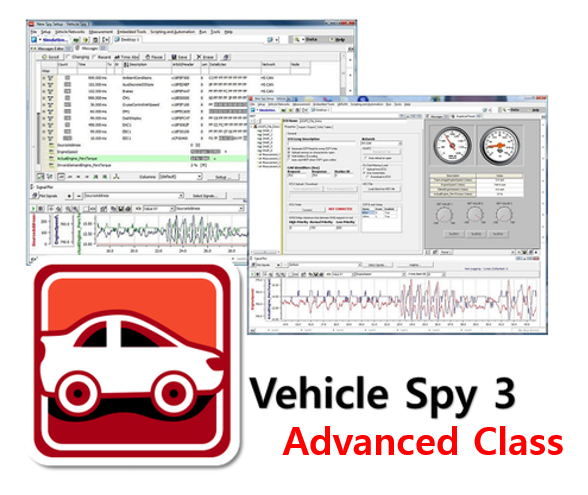 Vehicle Spy 3에서 제공하는 Script, Graphical Panel 등을 활용하여 테스팅 자동화에 도움을 줄 수 있는 교육을 제공합니다. - Script를 사용한 Basic Gateway Design. - Function Block을 활용한 Automated logging Design. - Script 연동 및 Automated testing panel 제작. - 해당 교육은 상담 후 결정. ※ 희망 교육일로부터 최소 일주일 전까지 신청 해주셔야 참석이 가능합니다.